Twice a year (in June and in December), Vincenzo Cosenza creates a “world map of social networks”, showing the dominant social networks by country, based on traffic data gathered from Alexa and Google Trends for Websites.In June 2009, Facebook was already quite big, and at the end of that year its accelerating growth became even more apparent. By December 2010, the map colored bluer than ever. 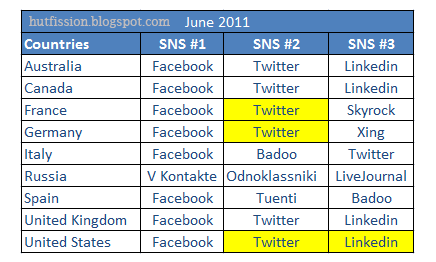 Facebook is now the ‘leader’ in 119 out of 134 countries Cosenza has analyzed (he added Ethiopia and Tanzania this time around). 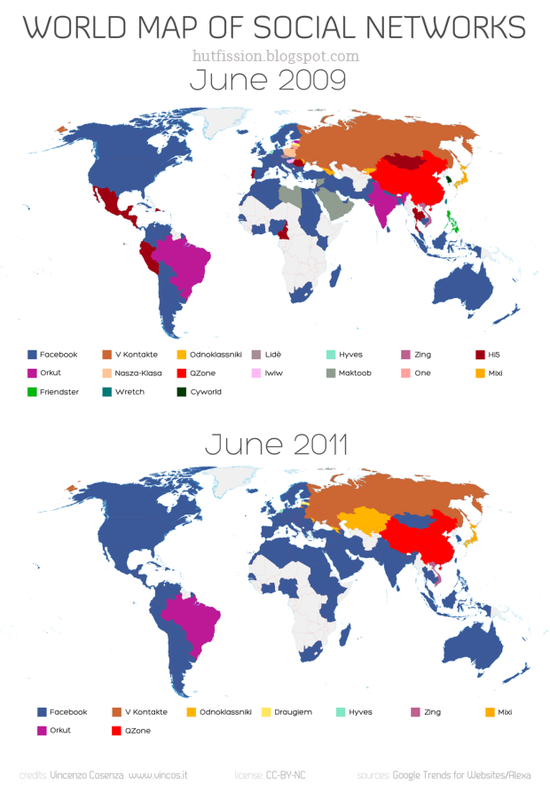 Since the last update of the world map, Facebook has conquered countries like Syria and Iran, despite struggles against government censorship. According to data from Facebook’s Ads Platform, Europe is now the largest continent on the network with more than 205 million users (out of roughly 700 million in total). Meanwhile in Russia, Odnoklassniki seems to be putting on a good fight against VKontakte. Also worth noting: Twitter and LinkedIn appear to be on the rise in the United States, Canada Australia and big parts of Europe (UK, France and Germany in particular).